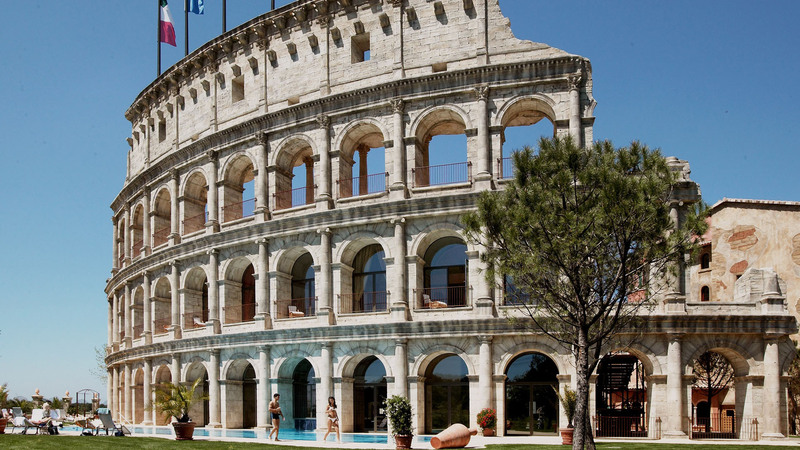 Designed in the style of an ancient Roman coliseum, the Colosseo Hotel provides the 4-star grandeur of ancient Italy. 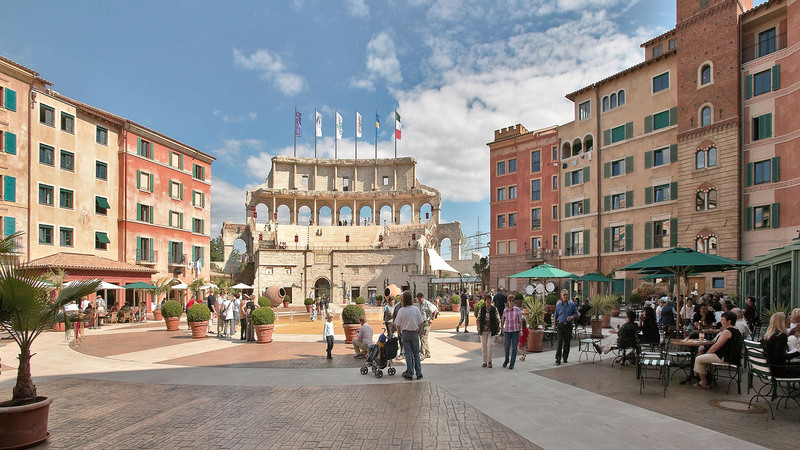 Enjoy accommodations and restaurants fit for Caesar himself. 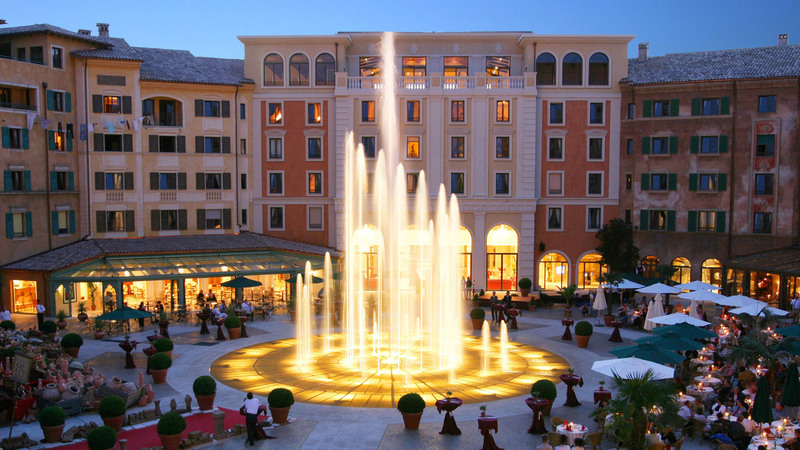 Please note that most of the evening events will take place in this hotel consequently, there is the potential for increased volume. 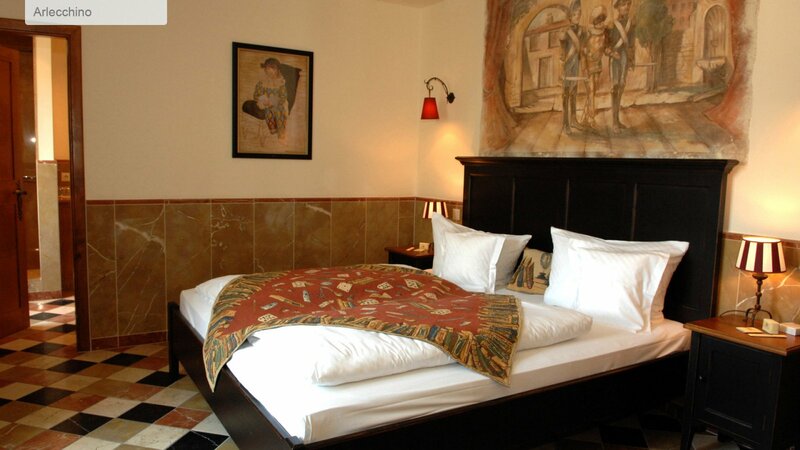 Each room is uniquely styled and there are multiple themes throughout the hotel. Each room is different and photos are one representation. Your room may look different. 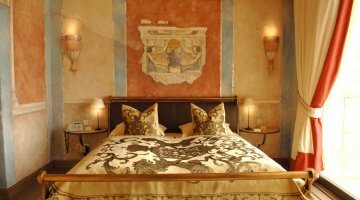 All standard rooms follow a Medieval Roman theme and are equipped with a minimum of one double bed or one double bed and a bunk bed. 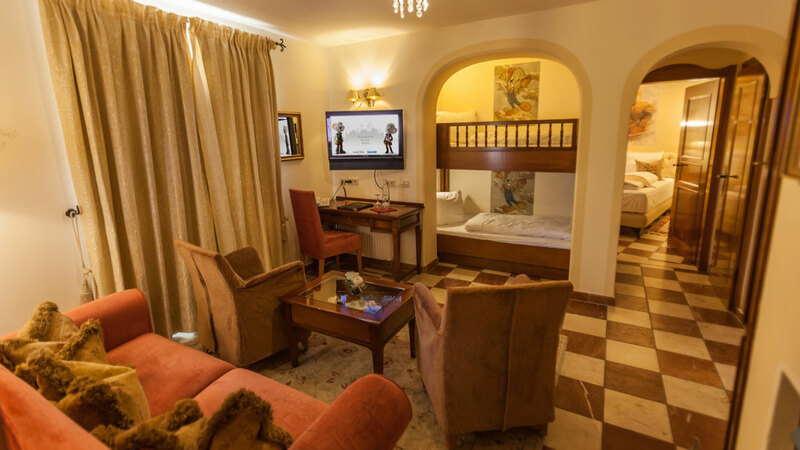 Each room also includes a full private bath with hair dryer, a flat screen TV, an in-room safe for your valuables, and workspace with desk, telephone, and free Wi-Fi. These rooms are approximately 27 sq/m (290 sq/ft). 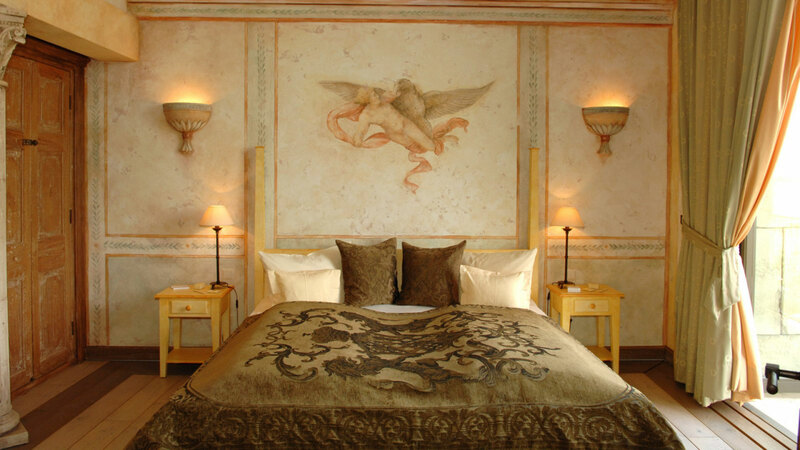 Each themed suite is inspired from using classical Italian history, including heroes, rogues, artists, inventors, and saints. 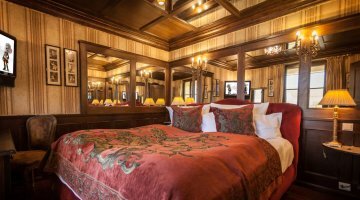 Each suite comes complete with a private bedroom with a double bed plus bunk beds in the main living area and a full private bath with hair dryer, flat screen TV, mini-bar, coffee machine, and free Wi-Fi. 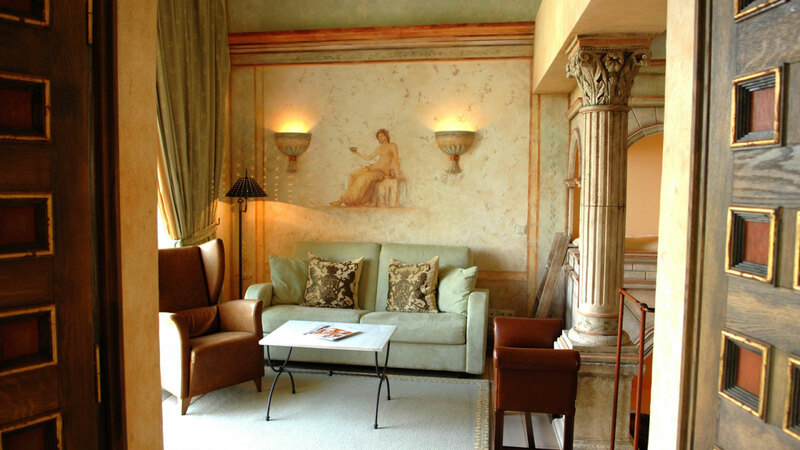 These suites range from 37 to 50 sq/m (398 to 538 sq/ft). 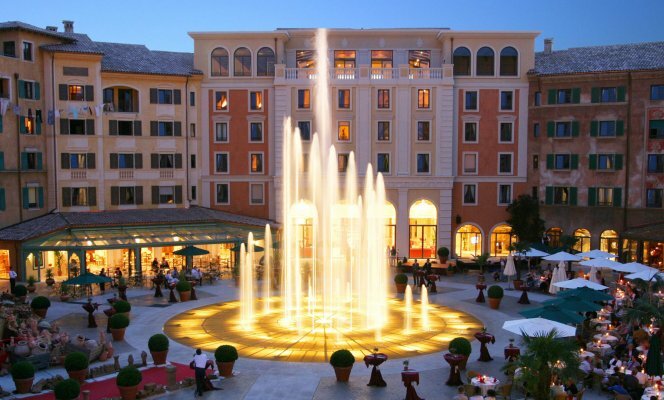 Presidential suites celebrate Shakespeare’s romantic Italian duo Romeo and Juliette. They feature two private bedrooms, two private bathrooms, bunkbeds in the main living area and a balcony. 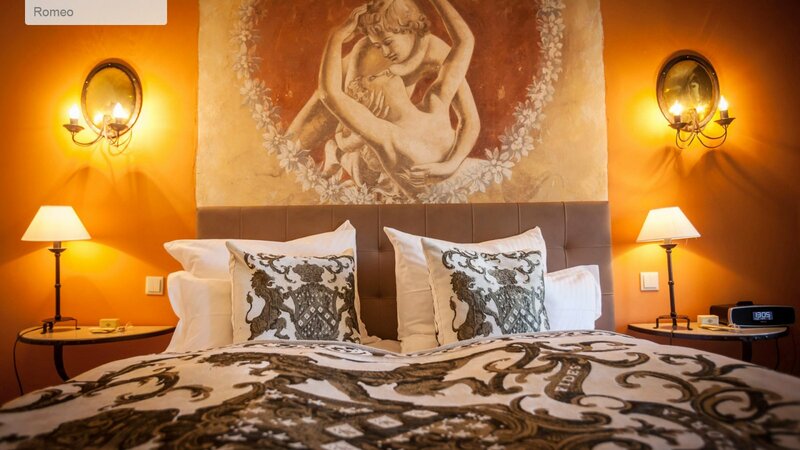 Like all Colosseo suites, you will get all the amenities, including hair dryer, two flat screen TVs, an in-room safe for your valuables, and workspace with desk, telephone, and free Wi-Fi. 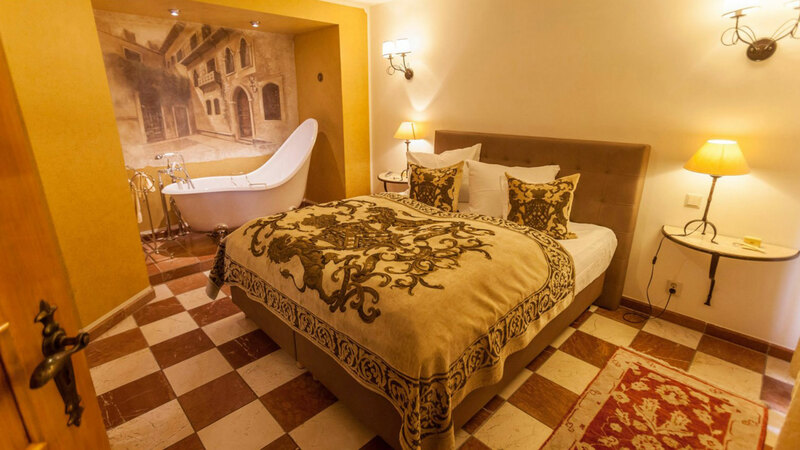 These rooms are 62 to 77 sq/m (667 to 829 sq/ft). The Suites in the Arch are decorated in the style of Roman antiquity. 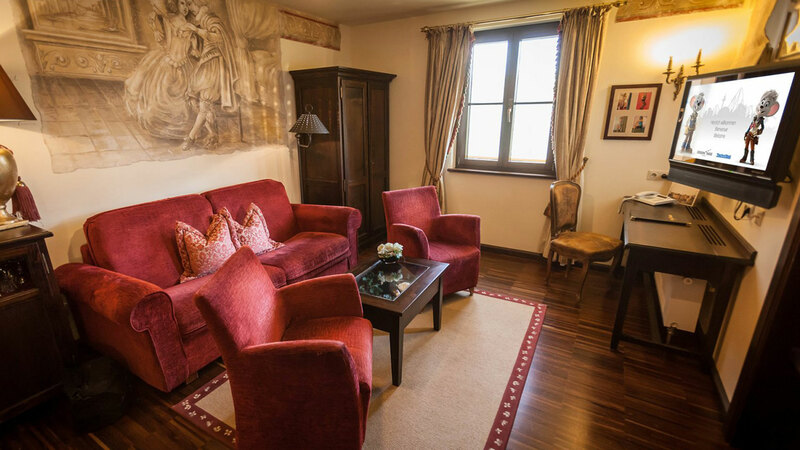 These suites are approximately 55 sq/m (592 sq/ft) and include two private balconies, a bedroom with a double bed, and bunk beds in the main living area. 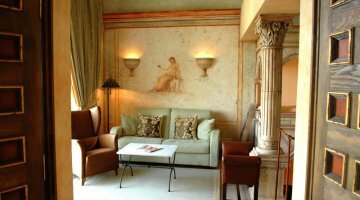 Architectural details include a private bathroom featuring a mosaic-tiled shower, wall murals, and columns in the living spaces. 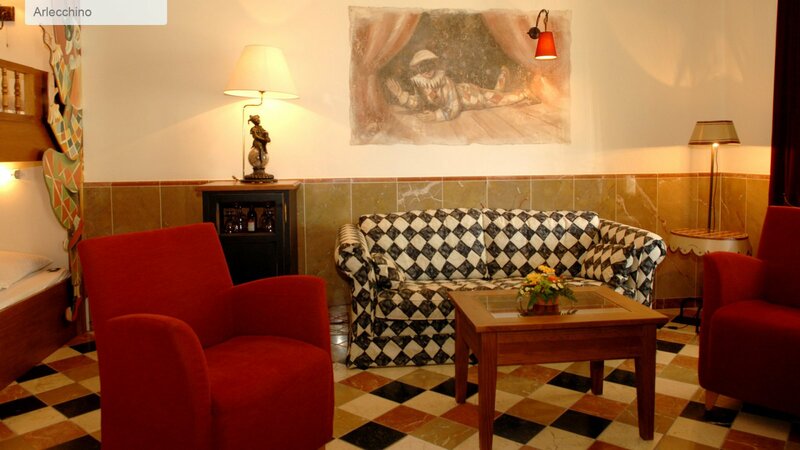 You will also find a mini-bar, two flat-screen TVs, coffee machine, and luxurious linens throughout. 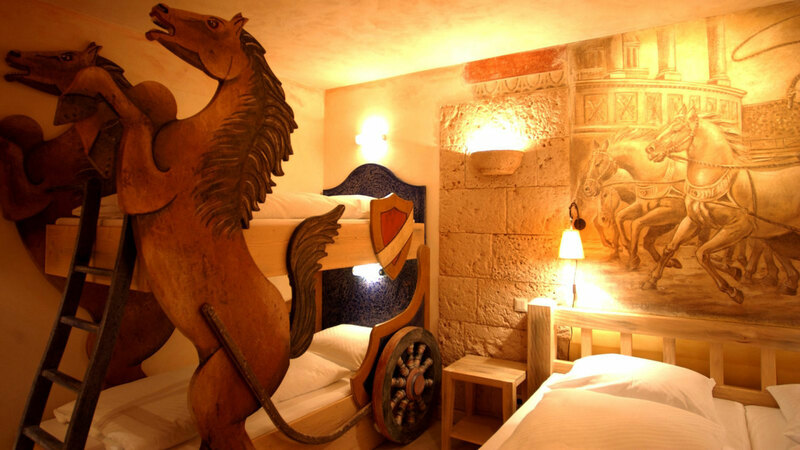 The Caesar & Cleopatra Suite is the best room in the Colosseo Hotel. 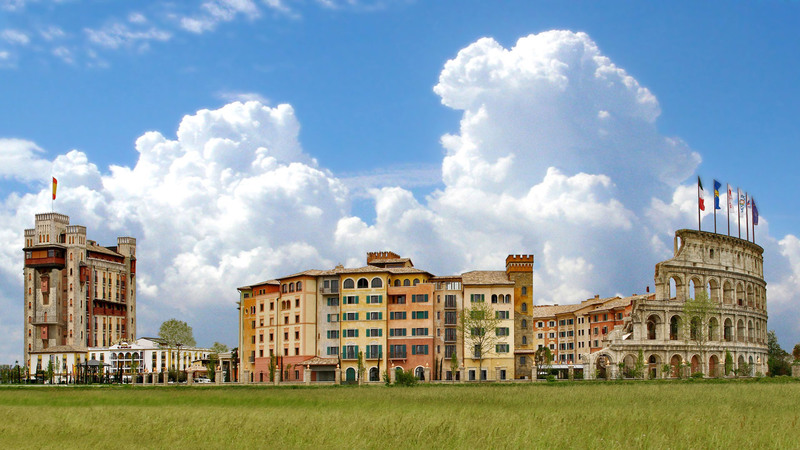 You can live like an emperor at CloudFest in 83 sq/m (893 sq/ft) of luxury at the top of the Colosseo Arch. 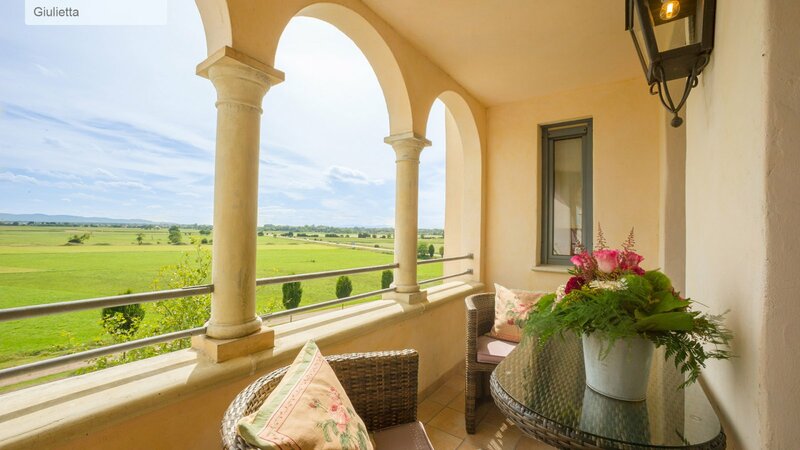 It features a private balcony and imperial views and comes equipped with everything. 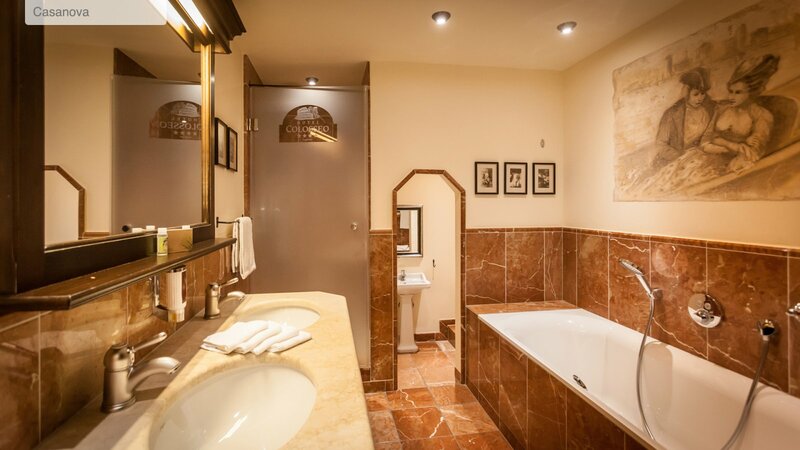 The private bathroom even has a sauna, whirlpool and “golden music” bathtub. It includes two bedrooms with double beds, minibar, coffee machine, four flat-screen TVs, and luxury linens.